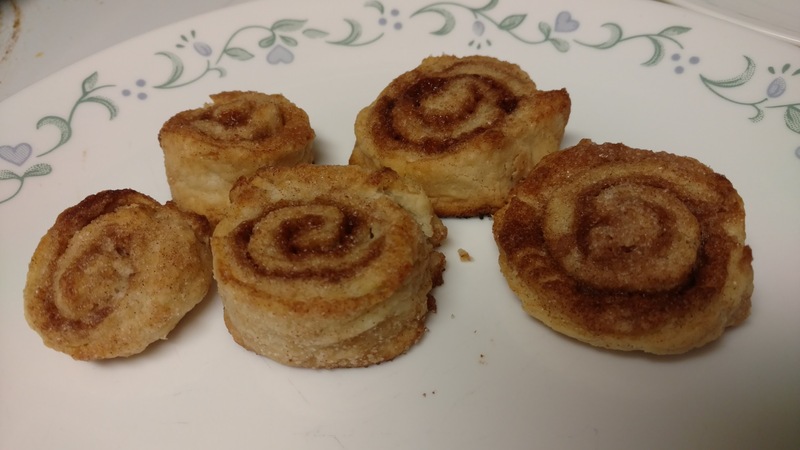 After seeing this on Facebook, I had to try making the cinnamon rolls using pie crust dough. I made my dough from scratch, but you could get the pre-made one from the store. Roll out the pie dough, add about one tablespoon of melted butter on top, sprinkle with cinnamon and sugar mixture, roll up the dough and slice into rolls. Bake at about 400 degrees Fahrenheit for about 10 minutes of until golden brown.